Take a BITE Out of the Pet Care Industry! 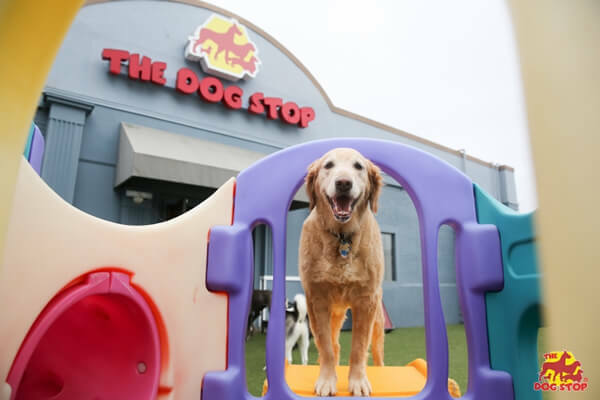 Founded in 2009 by two dog lovers who had spent years in research and planning for an all-inclusive pet care facility, The Dog Stop has begun its national development and is well on its way towards meeting its mission of becoming the nation's premier dog care provider and the single best franchisor in this explosive multi-billion dollar industry. We offer boarding, day care, grooming, training, in-home services, retail pet supplies, and educational opportunities to communities across America and are committed to achieving a consistent level of quality at every facility – one that exceeds the needs of the the pets we serve and provides complete peace of mind to our clients whose trust we earn and re-earn every day. The Dog Stop's franchise development team carry over one hundred years of experience in building and supporting successful franchise systems and accompany each of our new owners through every step of their business setup from location search, site evaluation, and lease negotiation to design and construction to operations training and grand opening. Our in-house marketing department provides full-time marketing and advertising support to all franchisees including complete brand and website management while our exclusive all-in-one Pet Care Management Software (PCMS) organizes all sales data, service history, client and veterinarian contact information, and reservations, with live telephone support. With the lowest entry costs and more individual revenue drivers than almost any other pet care business of its kind, single, multi-unit, and regional development investment options available, SBA approval, and an award-winning reputation, now may be the time to explore a future with The Dog Stop ... and to take a BITE out of the pet care industry!